This year, we’ve got something special to celebrate! We joined forces with around 50 of our blogging friends to bring you #CookoutWeek – and entire week filled with yummy summer recipes perfect for your next cookout, along with a fun giveaway, courtesy of some awesome sponsors. Don’t forget to check back later today for my Grilled Truffle Potato Wedges! Yum! I think it is always a good thing when cooking is involved and it’s really important to nurture it. Giveaways like this make it to the top of my list just because of that. Wow, that’s a lot of bloggers and looks like a great giveaway. Perfect for this time of year. This is going to be awesome! I love yummy recipes! We plan on having a few cookouts during the summer. Wow what a great summer giveaway! Someone is going to be ultra happy! Wow what a huge giveaway! My family always make sure we go for a picnic every summer and bbq is the one we do not miss! So many awesome prizes! I would definitely love to win this one this summer! That is an awesome giveaway. I’d love to win this. I love cooking! I love a good cookout! These prizes look fabulous. What an awesome giveaway! Thanks for sharing! Wow, that’s an amazing giveaway! Good luck, I’m sure there’ll be lots of participants! This giveaway is so generous. I want to win all these prizes. We are having a cookout this weekend. What a fabulous giveaway! The prizes are amazing. I will come back to join later. Wow! This is a nice giveaway! I wonder if I can join, I am not from your country. Wow! What a great giveaway!! I am taking my chances and putting in for as much as I can! Thank you for sharing! This is so great! Awesome way to share your giveaways! Amazing giveaways this week. Good luck to all. Will follow this cookout too! How can you not celebrate when you have a chance of winning these awesome treats! There’s so much that you can win and it’s definitely timely since the 4th is coming up! I love the cooking giveaway and participating in them is one of the great way to learn from others. Wow! That’s a lot of prizes and it’s perfect for the coming holiday too. What I love about summer is mostly the barbecues, so much good food! Looks like a fantastic giveaway. I would love to win. Thanks for the giveaway! Fantastic giveaways!! I think I should participate! All of the products look so fun and i hope to win. Wish me luck! Ok, this is such a great idea for this holiday season! And for summer. I will be following along with interest to check outyour ideas. Oh that is great, enjoy! This is a great giveaway. 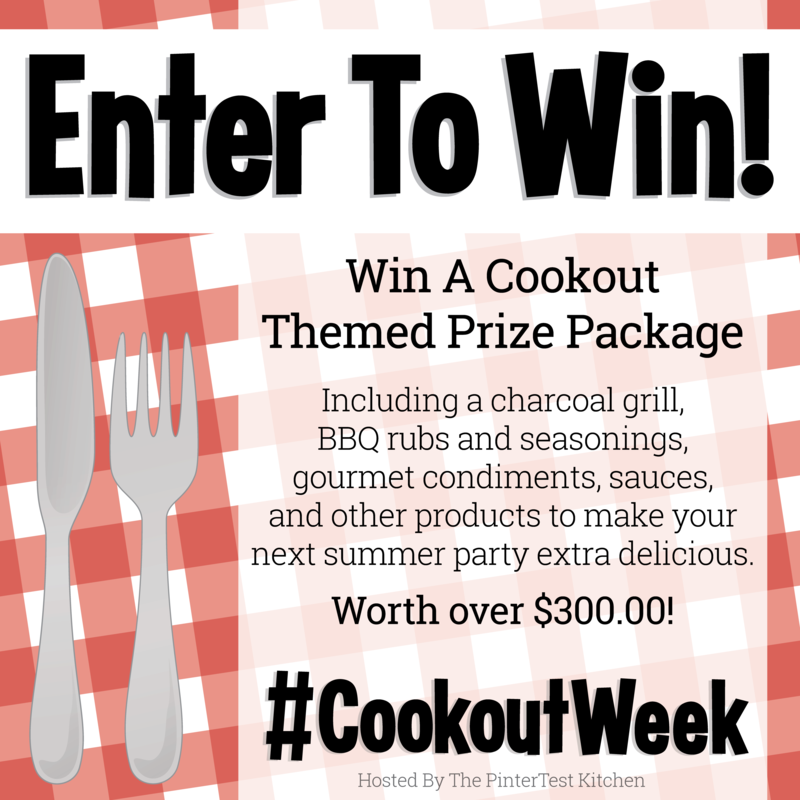 Who wouldn’t want to win an awesome cookout package? My husband loves bbq and would be thrilled if I won this. He would really love the grill.